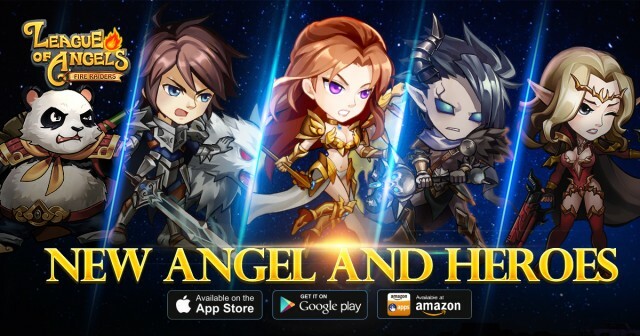 Version 2.2.8 for League of Angels - Fire Raiders is now upon us and with it comes Relics, new characters, and more! Check out what the latest update brings to the world of Fire Raiders! Relics are ancient heirlooms of unimaginable power said to have been left behind by the gods themselves. Scattered and long forgotten, the recent discovery of these Relics have sent Angels and Heroes scrambling to claim their might. Unlocking the secrets of the Relics might just be the key to defeating the Demon army. You can think of Relics as a set of armor for your whole army. They provide bonuses that apply to all your Heroes. Not only do Relics increase stats, they also feature powerful set bonuses when you equip pieces of the same set. These set bonuses start from stat boosts, and as players collect more pieces, they will eventually unlock powerful, battle-altering effects. Relics are a long-term investment, much like heroes, so take the time to cultivate them and they will become invaluable in your fight against evil. 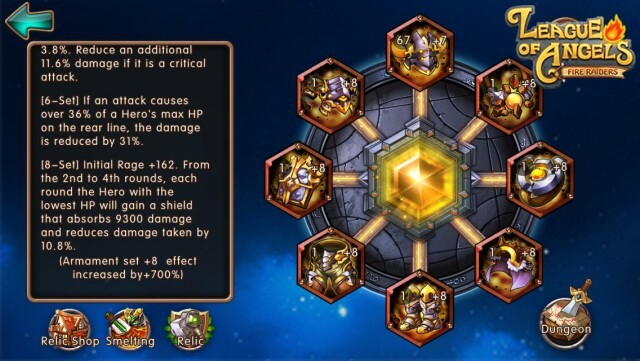 Relics provide even greater customization options and strategy to Fire Raiders. If you find your defenses lacking, use the Earth Armament set to toughen up your team! 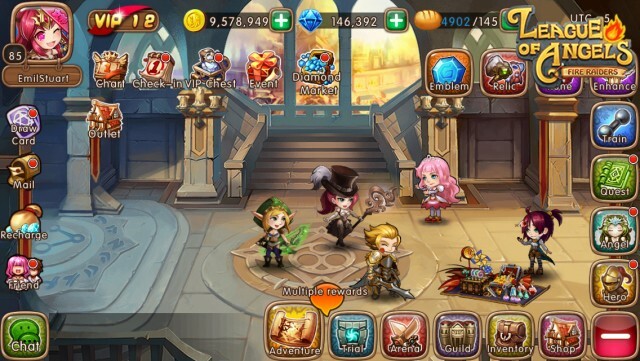 Want to get the most out of the Gold Trials? Go all out with the Flame Armament set. You can mix and match to get multiple set bonuses from different sets, or focus on a single set to reach the powerful 8-piece bonus. Players now have more choices available to them than ever. Five new additions add to the already robust roster of Angels and Heroes. Celeste is the newest Angel to join the League. She offers great control over the battlefield with the ability to disable enemies at critical times and turn a fight in your favor. Bamboo Fighter is a great new front row tank that can disable the enemy’s back row or their opposing tank. Death Slayer, on the other hand, is a balanced tank that is ideal for weakening the enemy for the rest of your team. See how these heroes can add to your tactics, or create new strategies based around them! Support for Turkish has been added to Fire Raiders! Players can switch their language settings in the game settings menu. As we work towards making Fire Raiders even more accessible, we welcome all Turkish speaking gamers around the world to join us for the adventure! 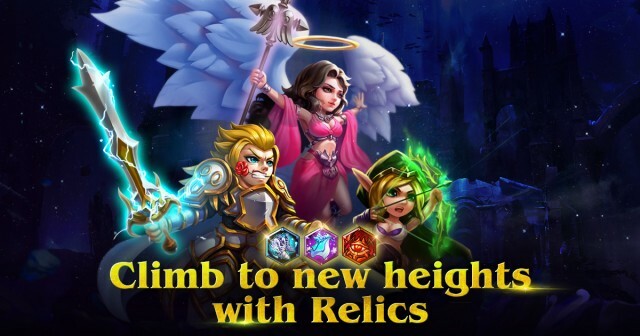 Use Relics to ascend your Heroes (new and old) to greater heights! Evolve your tactics, enhance your Battle Rating, and prepare for more exciting features coming soon to Fire Raiders, including Cross Server Wars and Guild Wars! As we look to the future, great things are on the way!